This Sentry PIPS CDUTM (Cabinet Power Distribution Unit) combines all of the features of a Switched CDU with the ability to provide power monitoring per inlet/infeed. Power information per infeed includes current, voltage, power, apparent power, crest factor, reactance, power factor and accumulated energy. This information replaces branch circuit monitoring devices typically installed in the power distribution panel or remote power panel (RPP) with higher accuracy and lower cost monitoring of each circuit attached to the CDU. Combine the Sentry PIPS Switched Cabinet CDU with the Sentry Power Manager (SPM) software tool to gain power usage information across multiple Cabinet CDU's individual IP address. The Switched CDU combines remote configuration and management with power distribution and power and environmental monitoring. Reboot a single or dual-power server with one command. Receive SNMP or email-based alerts when power or environmental conditions exceed thresholds. Assign user specific access rights to designated outlets or groups. This Switched CDU has a mid-entry for network, serial & environmental connections combined with a top power cord entry. This provides the ultimate flexibility when connecting Switched CDU's to raised floors, overhead power, or busways. Current monitors are easily inverted via the web GUI or serial interface. Individual or group outlet remote power control to cycle power and reboot any selected server(s) or other network device(s). Use TCP/IP (HTTP, HTTPS, SSH, Telnet, SNMP) or RS-232 to communicate with each Sentry Cabinet PDU and rectify locked-up network devices. Assign outlets to a group for control of dual-power supply servers and other gear with a single command. Create an unlimited number of groups with any combination of outlets associated to each group. Reduce Mean Time to Repair (MTTR) a failing server by controlling individual power outlet receptacles to reboot any selected server or other device. Use the Sentry Web interface to configure each unit, including network settings, outlet naming & grouping, SNMP traps for environmental & power thresholds and firmware updates. Also use the Web interface to control individual or group outlets and monitor key values, including amperage load(s), temperature/humidity and other environmental conditions. SSL security provides a secure HTTPs connection. The Sentry family of products supports the Simple Network Management Protocol (SNMP). This allows network management systems to use SNMP requests to retrieve information and control power for the individual outlets. The Sentry includes an SNMP v1 agent supporting standard MIB I and MIB II objects. A private enterprise MIB extension (Sentry3 MIB) is also supported to provide remote power control. SNMP traps can be generated for various events, including Input Current Load Thresholds (min & max), Temperature Thresholds (min & max), Humidity Thresholds (min & max), water indication, closed contacts (cabinet doors open/close), as well as notification of any time an outlet status is changed (on/off). Connect an Expansion Cabinet PDU to any Switched Cabinet PDU to control two power input circuits and manage outlets (individual or groups) under 1 IP address - our exclusive strategy for managing dual power-supply servers. A vertical enclosure that occupies Zero Vertical U of rack space in the equipment cabinet. It mounts on the back rails or in the cavity space of the cabinet. Secure Shell (SSH), known as Secure Socket Shell, is a Unix-based command interface and protocol for securely getting access to a remote device. Sentry supports SSHv2. Secure Sockets Layer (SSL) is a commonly-used protocol for managing the security of a message transmission on the Internet. SSL is an integral part of most Web browsers (clients) and Web servers. Sentry supports SSLv3/TLSv1. 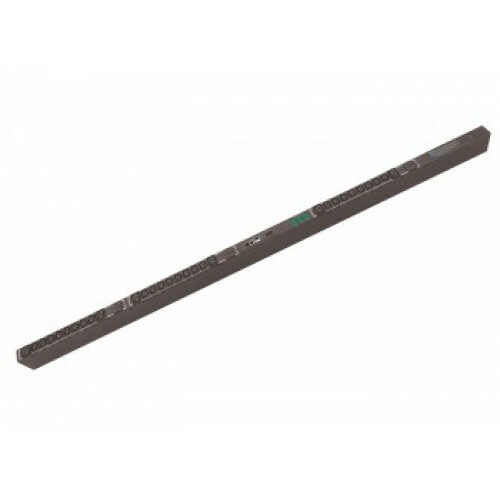 Two (2) RJ-style connectors located on the face panel of the PDU's enclosure provide support for two (2) Integrated Temperature & Humidity Probes with ten-foot (10') cables provide real-time measurements in the data center cabinet. Access new firmware updates via FTP for new firmware features and code releases. An update to the firmware does not affect the status of the power outlets. The sentry family of products supports Lightweight Directory Access Protocol (LDAP) Version 3 including LDAPS (LDAP over TSL/SSL). This support enable authentication with LDAP servers; user accounts do not need to be individually created locally on each Sentry device. This allows administrators to pre-define and configure (in each Sentry product, and in the LDAP server) a set of necessary LDAP groups, and access rights for each. User's access rights can then be assigned or revoked simply by making the user a member of one or more pre-defined Sentry LDAP groups. User account can be added, deleted, or changed in the LDAP server without any changes on individual Sentry products. Individual input current monitoring ("Load Sense") provides real-time power measurement of the load in amps on each power inlet, accessible via firmware interface. Serial control via any device with a bi-directional serial port, including a PC, laptop, KVM switch, Console Port Access switch, or terminal server. Use the firmware interface (Web or serial) to edit individual outlet receptacles. Identify each receptacle with the device's serial number, IP address, asset allocation #, department or any other method to individually name outlets. 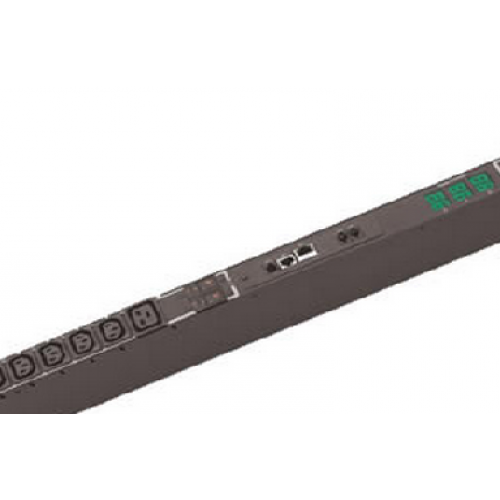 The Switched Cabinet PDU 8H2 combines remote configuration and management with power distribution, power monitoring and environmental monitoring. Rebo..
High Density: Single power input feed; 8 outlets per 1U enclosure High Power Distribution: 120V, 208V, or 230V power options; 16,&.. 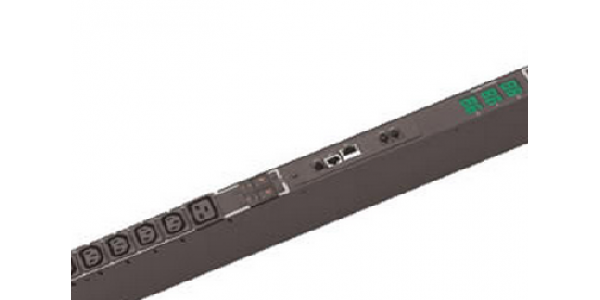 The Sentry 48DCWB-08-2X100-B0NB Intelligent PDU and Remote Power Manager minimizes the impact of locked-up routers, servers and other network devices .. This Sentry PIPSTM CDUTM combines all of the features of a Smart CDU with the ability to provide power monitoring per inlet/infeed. Power in..